XNG has pioneered CNG solutions for customers who experience fuel interruptions that significantly affect their business. The risk and expense of these curtailments, as well as the cost of downtime, can be costly to an organization’s bottom line. Any curtailment that results in a stoppage is money lost. One way to minimize this risk of unplanned outages is through XNG’s on-site storage. This provides redundancy for stable operational performance, especially in industries engaging in continuous processes that operate 24/7. When we receive notice of curtailment or pipeline service disruption, our system has gas on site to immediately take over gas supply to the facility using a higher-pressure flow to over-ride the pipeline service. We then mobilize and dispatch new trailers until the event is over, ensuring a constant flow of natural gas to meet 100% of your service needs. 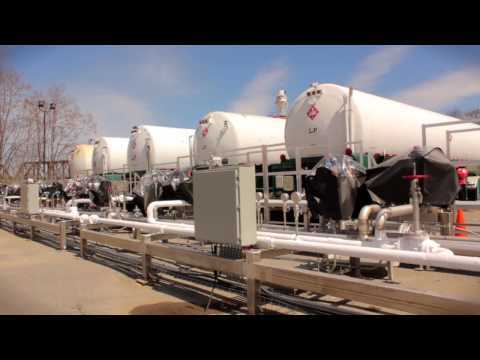 In a typical installation, XNG would utilize the same CNG infrastructure that would be installed for any customer however in this case, the customer already has access to a pipeline for their primary service. It starts with a call and a site visit. We will bring our team to meet with your facilities staff to evaluate the energy requirements for your plant or campus. We will then quickly assess the natural gas needs and design a solution to meet those needs.